Making meringues on a whim turned out to be a great experience. Personally I had never tried meringues before today but I was pleasantly surprise at how much I like them. I’m looking forward to trying different extracts and experimenting with flavors. 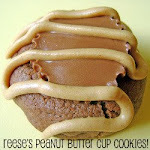 This recipe can be easily halved for fewer drops. Preheat oven to 200 degrees with two racks centered. Line four baking sheets with parchment paper. Fill a medium saucepan 1/4 full with water. Set the saucepan over medium heat, and bring water to a simmer. In the heatproof bowl of an electric mixer, combine egg whites, sugar, and cream of tartar, and place over the saucepan of simmering water. Whisk constantly until sugar is dissolved and whites are warm to the touch, 3 to 3 1/2 minutes. Test by rubbing between your fingers. Transfer bowl to electric mixer fitted with the whisk attachment; whip, starting on low speed and gradually increasing to high, until soft peaks form, about 5 minutes. Add vanilla and just a few drops of food coloring; beat to combine, and continue beating until stiff peaks form. Fill a piping bag fitted with a 1/2-inch tip with the meringue. Pipe 3/4- to 1-inch drops onto prepared baking sheet; after each drop is piped by squeezing the bag, release from squeezing, and pull straight up with the bag to create the very fine curled tip on each drop. Bake until drops are hard to the touch but not browned, about 1 1/2 hours. Repeat to use all meringue. 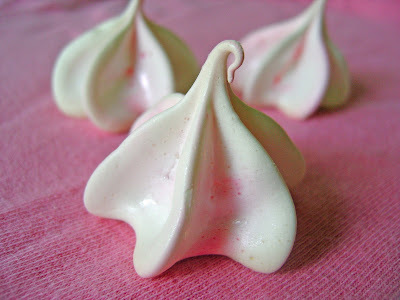 Meringue drops may be made a day ahead and kept in an airtight container at room temperature. Wow - your meringue drops look beautiful! 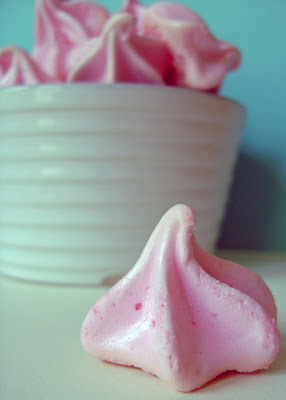 I've been wanting to make some meringue... maybe I will give these a try! 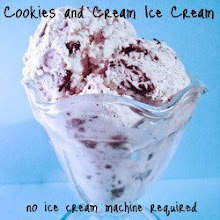 I think they would be tasty with lots of different extracts, too - almond, lemon, orange, etc. Those are just the prettiest little meringues ever! Beautiful pictures! :) I only experienced meringue cookies myself not that long ago, and was surprised at how much I liked them as well. Something so simple is so good! 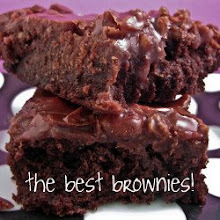 These look perfectly light and delicious!